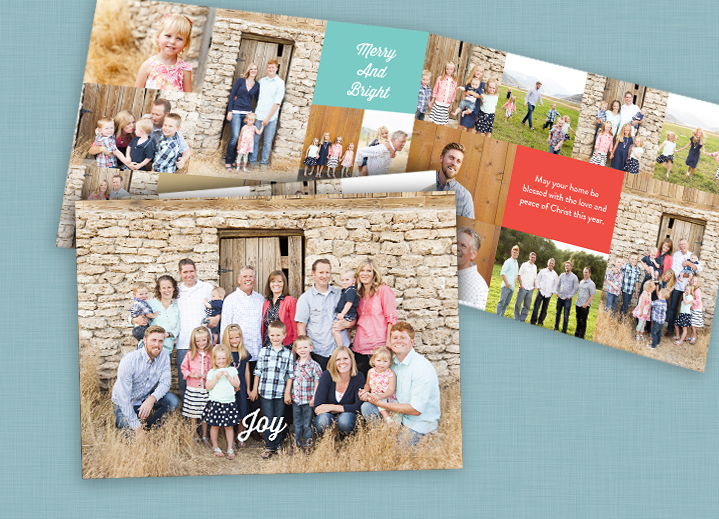 “Pear Tree was a natural choice for our Christmas card because of their beautiful templates and ability to add multiple photos. I used Pear Tree last year and the card was gorgeous. I was worried I would not find a new template as wonderful as last year’s, but I was not let down. I mailed my cards out this week and have been getting phone calls and complements all week. One neighbor said she admired the card for over 15 minutes and she doesn’t even know my family. We are so happy to hear that our Big & Small Moments Christmas Card fit this family (and vice versa)! May your holidays be blessed with the love and laughter of family all around you. For more inspiration to create your holiday card, continue reading our Featured Favorites!